I can’t believe that a year ago on the 4th of May I summoned the courage to hit the ‘public’ button on this blog! I was so excited but also very scared; I literally wanted to hide under a rock after the blog went ‘live’. Baring myself to the world went against my usual reserved nature, but I knew that I had to take a step and move forward in order to live out my creative dreams. 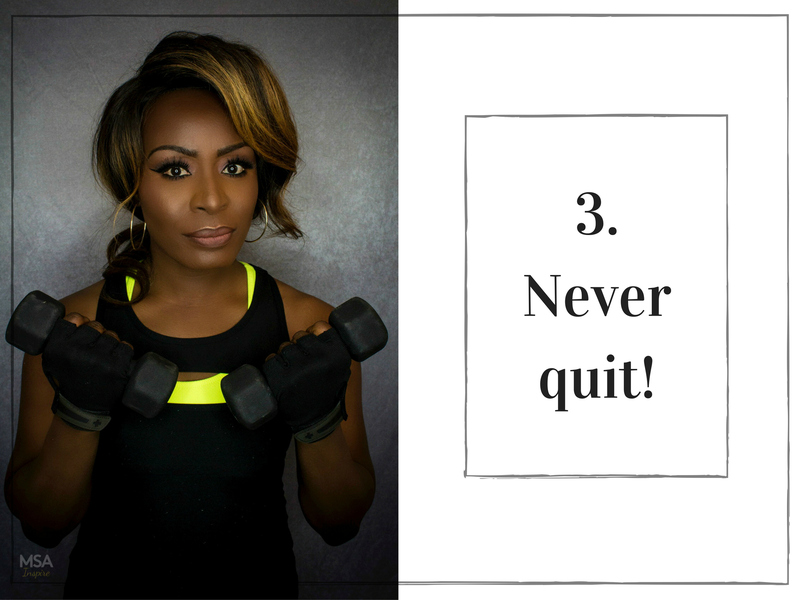 It’s been an amazing year and I want to say a huge THANK YOU to all of you who have supported me on this journey; I appreciate all of you – from those of you who joined me on day one, to those of you who just discovered this blog today. 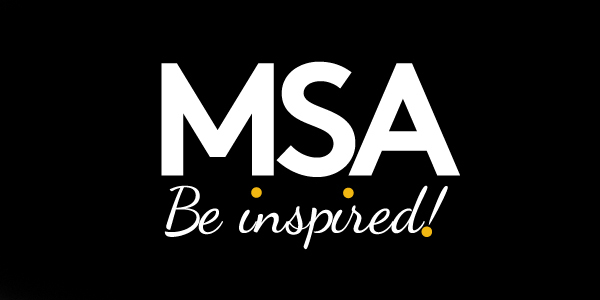 Every one of you is special to me and your support makes all the effort that goes into creating ‘MSA Be Inspired’ worthwhile. I appreciate every comment, every ‘like’ on my social media posts, and I appreciate those of you who have given me ideas or challenged me to push harder. I also want to say a big thank you to all the incredibly inspiring people who have generously allowed me to interview them – I will be forever grateful that you sacrificed your time to inspire me as well as countless others. The blog is my baby. I conceived it, I birthed it, and I’ve had the joy of watching it grow. I must apologise to those of you that have patiently listened to me going on and on about my blog over the past year. Like all new parents who obsess about their child, I too have been a bit preoccupied. I will endeavour to get a bit more balance in my life in the next year and please let me know when I’m boring you about the intricacies of my blog – I know you really don’t care about search engine optimization! 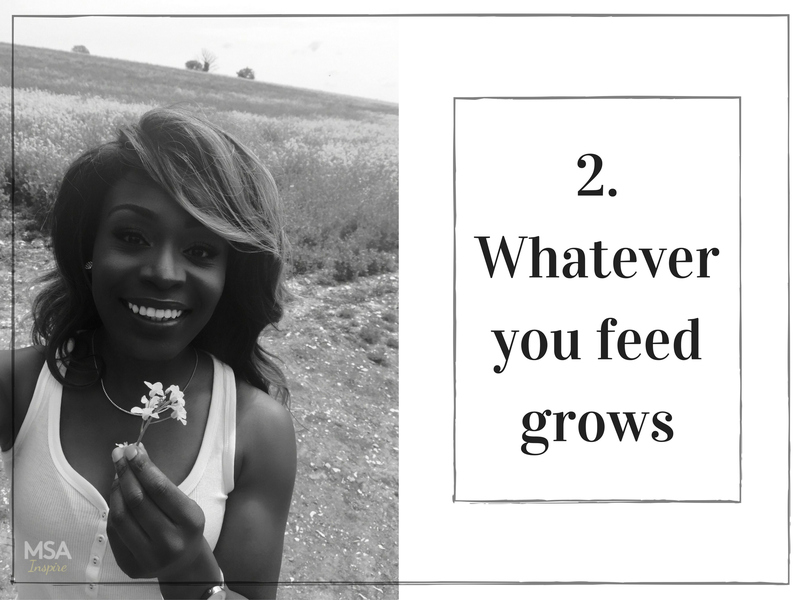 It’s been a big learning curve and I felt that as I celebrate one year of running this blog it was only fitting that I share with you some of the big lessons I’ve learnt in the past year. I hope that these lessons encourage you in whatever situation you’re facing today. 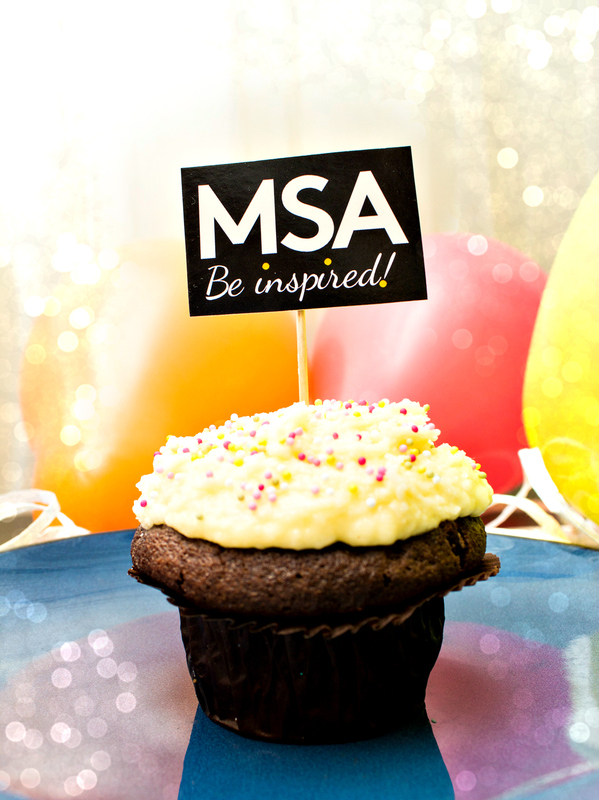 So happy first birthday to MSA Be Inspired and keep on reading below. I knew for a long time that I felt stifled creatively. I was developing lots of new skills but had no outlet in which to share them, so as a result I felt stagnant and repressed. I also had way too much makeup for just myself. So the desire to share grew within me, and greater still, the desire to inspire others. I didn’t feel confident when I decided to launch this blog. I worried what people would think of a doctor doing makeup, arts and crafts and blogging about it – it’s unheard of really. I realised that I was waiting for the day to come when I felt confident enough and I also realised that this day would never come. It was now or never. So with a heart full of fear and a mustard seed amount of faith, I hit the ‘public’ button. Since doing that my confidence has grown, the feedback I’ve received has been amazing, and my life has been much more enjoyable as a result of facing my fears. One of the biggest highlights of the past year was being nominated for the award of ‘Diversified Medic of the Year’ by Medic Footprints, just 4 months after launching my blog. How ironic that my creative pursuits were celebrated by the community I feared would reject me! As the popular acronym states: Fear is False Evidence Appearing Real, so confront whatever you fear head on and you’ll probably discover that what you were scared about was just a big fat lie. So just do it. 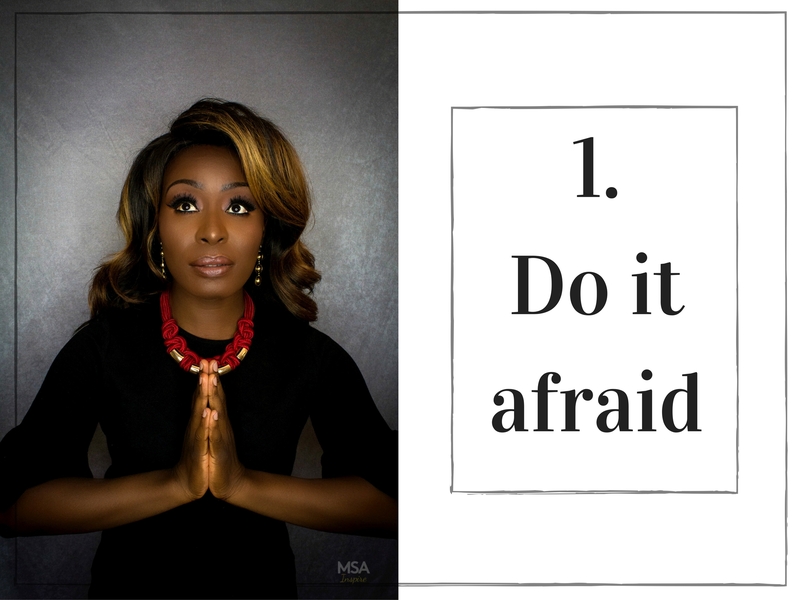 Do it afraid and don’t wait until you feel confident. Apparently, if you plant a single poppy seed, you will grow a plant that will yield hundreds of seeds. If those seeds were planted again and again, there would be an exponential amount of plants that would grow at each harvest. I’ve discovered that this law of multiplication also applies to creativity. A few years ago I only knew how to paint canvases with acrylic paint, but as I nurtured my creativity I learnt how to paint faces with makeup, I learnt how to sew, I learnt about interior design, I learnt how to do photography, I learnt how to make bags and the list goes on. 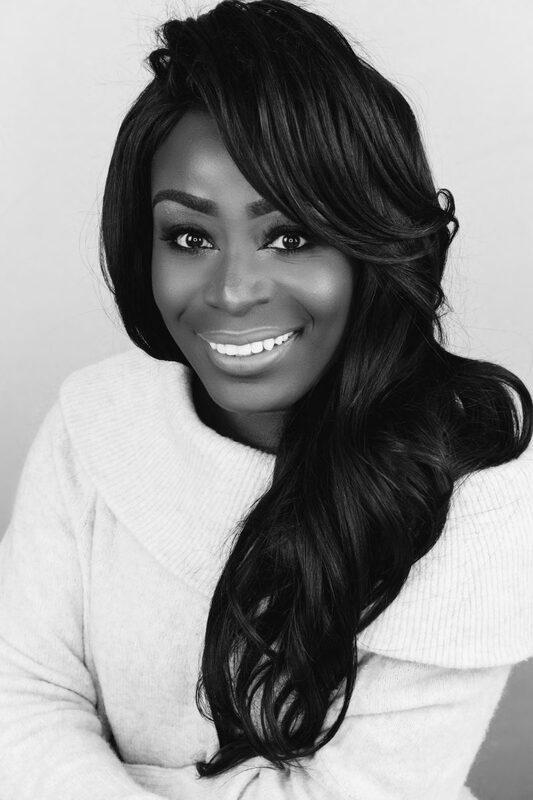 I still continue to attend events and courses to further develop my creativity; I watch countless of YouTube makeup videos and I continually attempt new creative projects. By nurturing my creativity, as well as that of others through this blog, I have found that my creative abilities only get stronger and stronger. You may think that you only have one talent, skill, or ability, but if you take time to develop it, it will grow and you will only get stronger. Don’t be discouraged it you feel that your talent isn’t amazing yet. Just keep on taking steps, keep on trying, and keep on failing (failure is just as important as success, and trust me I’ve failed countless times!). You’ll find that with time you will grow beyond what you thought was possible. When I started this blog I naively thought that I would have more than 100 subscribers within a few months, lots of feedback from every blog post, and that my social media accounts would have lots of followers. Boy, was I wrong! I recalled feeling so discouraged when I only got about 19 hits on one blog post that I’d slaved over for hours. I felt even more discouraged when I saw that my social media statistics were very low. I wondered why I was putting in so much effort for such little success. I then began to understand why the majority of bloggers quit within the first year of blogging. Quite simply, it’s not as easy as it looks and success is often not instant in the blogging world. I hit a low point recently where I contemplated quitting. I had a series of disappointments with some new creative ventures that I’d embarked upon. It just felt like all my efforts were not producing the success that I wanted. Thankfully, a friend came along (I won’t reveal your name, but you know who you are) and told me how my blog had inspired her to launch a new creative business and to also restart using a creative gift that she hadn’t practised since her teenage years. Finally, I could actually ‘see’ the fruit of all my labour. Finally, someone had understood the point of my blog, my very heart beat, which is to encourage people to realise their creative potential and to discover the awesomeness within themselves. This meant that I was a success regardless of my low number of subscribers or social media followers. This encouragement came at a crucial point in time. I realised that I had to persist and continue regardless of the challenges. So whatever you’re doing, remember that success comes to those who persevere and to those who never, EVER give up on their dreams. One of my favourite things about blogging is being able to share the inspirational interviews that I’ve conducted with various people over the past year (click here). I’ve been privileged to interview people that I consider to be ‘the greats’, people who have accomplished much and have courageously followed their creative dreams. I’ll be honest and share with you that the majority of people that I’ve asked for an interview have said no or haven’t even responded to my emails. Here’s what I was thinking: What! I mean, don’t they know who I am? Don’t they know who my father is? (If you’re Nigerian you will understand this joke perfectly! LOL.) I went through a patch where for a few months everyone I contacted said no and this was so discouraging and stressful, because when you have to publish an inspirational blog post but have no one to interview the pressure begins to mount. But, …….. I decided to persist. I decided to view each rejection from the people I admired as a sign that they were not right for my blog and its readers at this point in time. I probably have to contact about 10 inspirational people before one person says ‘yes’ to an interview. And boy does it feel sweet when someone eventually says yes! 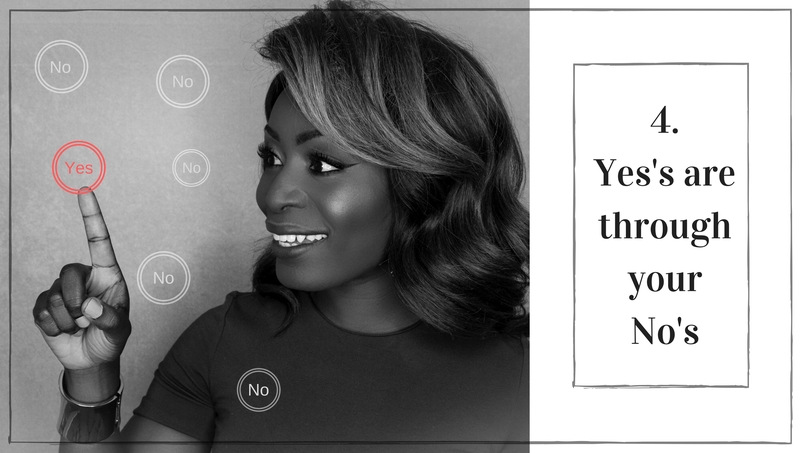 I’ve learnt to push past the ‘no’s’ and I choose to believe that the right ‘yes’s’ are in my future. So keep on knocking on as many doors as possible until the right door opens. 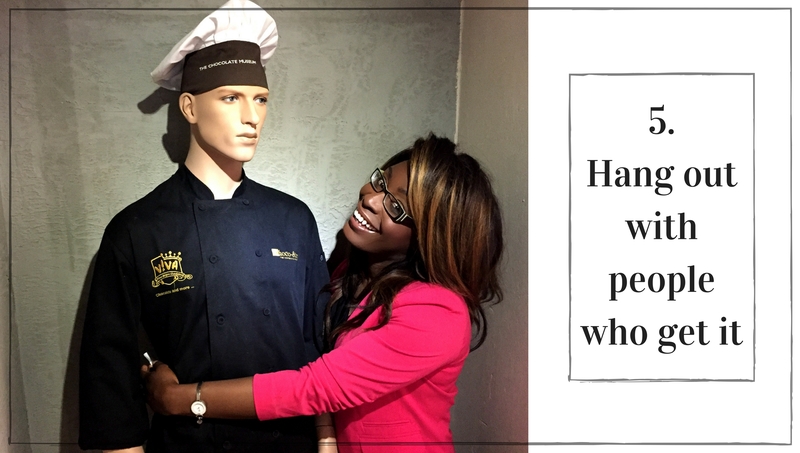 When I shared the idea of my blog with certain people I was met with a lack of enthusiasm or blunt disinterest…much like the expression of my mannequin friend in the picture above. I wonder if they felt intimidated, or jealous, or if they just didn’t get it. It became tiring to continually share with unenthusiastic people my excitement for what I was doing or the new ideas I had. I realised that those people could never give me the support or encouragement that I desired for whatever reason. I also realised that if I spent lots of time with such people eventually they would only slow down my progress or even kill my dreams. I confess that I too am a wretched human being, so if you ever shared with me one of your dreams and I didn’t get it, then please forgive me; we all need a good measure of grace, so I have decided to forgive those who did not support me. God knows that I need all the grace I can get! Over the past year I’ve learned to only share my creative ventures with people who are genuinely interested and who I feel are truly happy for me. These are the people who helped me to grow, to develop and to believe that I can do whatever I set my mind to. I’ve learnt that you will only prosper in an environment of love and encouragement, so spend your valuable time with these life-givers. I hope you’ve learnt something from my highs and lows over the past year of blogging. I also hope that you are inspired to follow your dreams courageously, with determination and with persistence. As you read this post I’ll be off celebrating my blog’s first birthday. Hmm, I think I might check out an art exhibition in London, eat lots of chocolate and indulge myself on a shopping spree (for more makeup of course!). I do hope that you will stick around for another year……I believe that great things are in store! Happy birthday MSA! Now you have an excuse to celebrate two birthdays every year! It’s amazing how life brings many different voices in your ears, yet one out of many can bring life to your dead parts. You are so right, why listen to those voices that kill your joy, creativity and inspiration? MSA, your blog helped me remember there is more to me than just work. We all have some sort of creativity within ourselves that we are meant to develop and bless others with. That is why when we do so, we experience satisfaction and a high that nothing consumed can ever bring! In the grand scheme of things, work facilitates living but creativity feeds life! You and your amazing interviewees have demonstrated that it is possible to have a career, but also develop one’s creativity at the same time!